Save EMF as BMP in batch with an error-free tool! 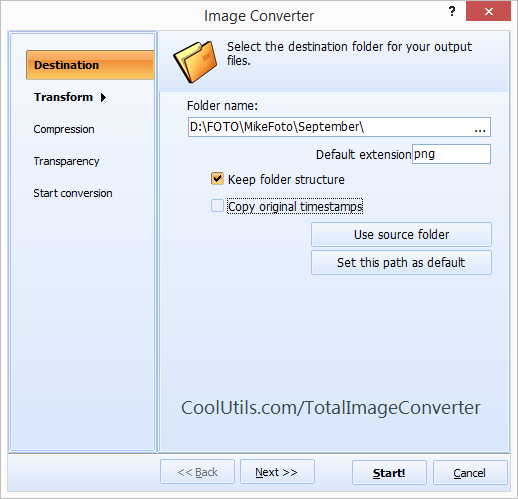 You are here: CoolUtils > Total Image Converter > Save EMF as BMP in batch with an error-free tool! EMF format contains vector images and can be viewed or edited in very limited number of programs. You can convert it to a bitmap image file type like BMP. 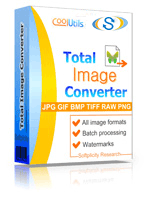 Total Image Converter offers BMP into EMF conversion in batches. It will gain time by quick multiple file processing. The speed doesn't affect the quality - you will receive clear BMP copies of original images with ability to change their graphic parameters on the go. Integrated navigation provides quick search for source files, displaying the files of selected folder to the right from the folder tree. Here you need to select files that will be converted in further steps. Being able to convert EMF to BMP in batch solves the problem of time, allowing processing all required files together, like it is a one single image. You can combine all EMF files into one BMP or convert them one-by-one. For BMP there are a few parameters to setup. 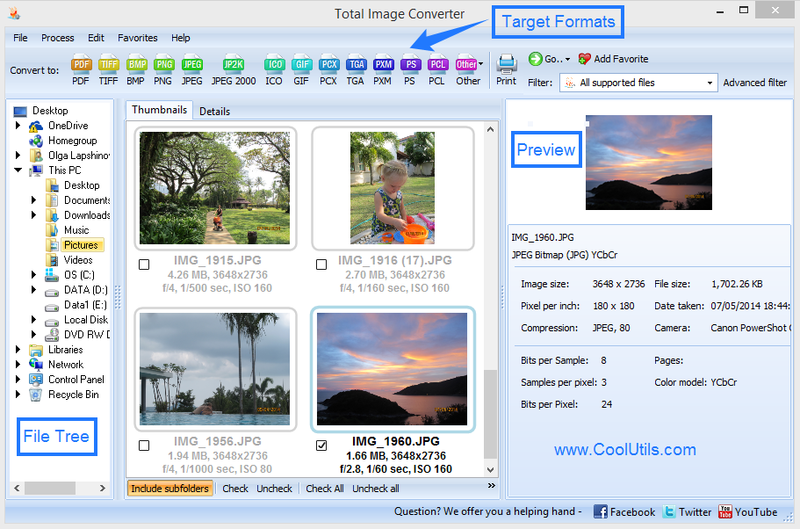 For example, Total Image Converter offers a few color presets to choose from (from black and white to true color). DPI is also adjustable. This batch image converter also provides watermark protection. Only converted copies will be watermarked, while the original files will stay unmodified. To convert EMF to BMP, you need to select the folder with the source files, check required sources in the list and select the target file type in the format bar. After this you will see a popup wizard. There you can find all the settings available in this batch image converter. Setup required parameters and press Start! And that's all! Download a free test version with full set of converting functions. You can try it all for free during 30 days before making a purchase.